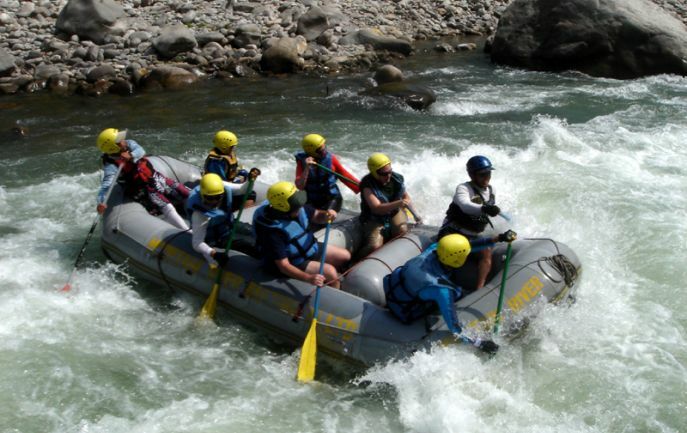 Rafting is a popular sport in Nepal, and adds a new dimension to your travel. 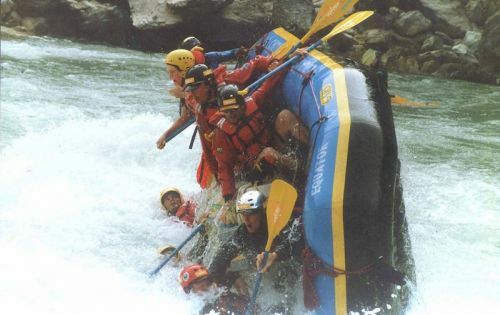 Nepal is known for the best white water rafting in the world. 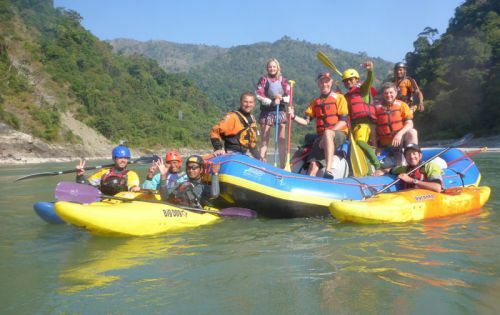 The trip combines spectacular rivers, mountain scenery and a rich culture heritage makes Nepal an obvious river runner’s destination. We can arrange rafting trips for absolute beginners to die hard. 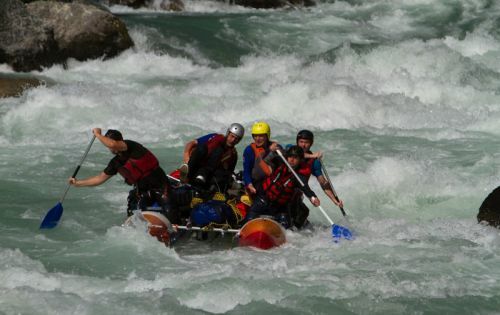 Rafting trips can last just one day, or up to ten for the really adventurous! 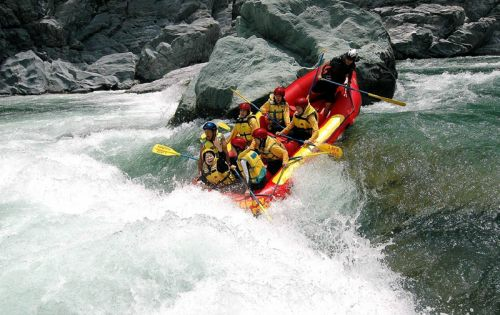 Below is a summary of the most popular rafting destinations. 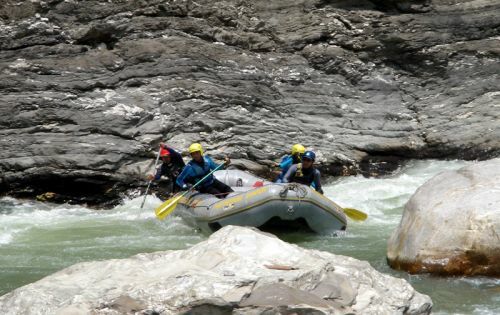 The Trishuli is Nepals most popular rafting river; easy access from Kathmandu and Pokhara, scenic valleys and impressive gorges, exhilarating rapids and easier sections as well as the right amount of time all make it the perfect trip for first-time or experienced rafters. 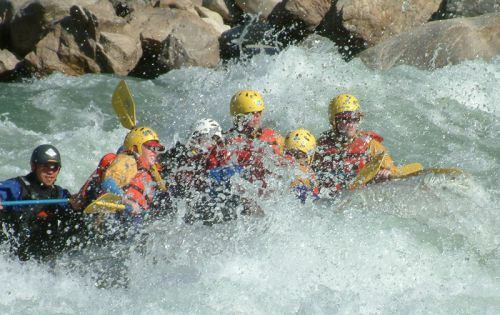 Rapids : Snails nose, Teendevi, Malekhu rapid, Monkey rapid, Upset, Surprise, Monsoon, CottonPony, Ladies Delight, S-Bend, Highway, Monsoon and Pinball Rapid.